A chemical peel is a treatment technique used to improve and smoothen the texture of the skin, thereby boosting current homecare regime. A chemical peel will provide instant and noticeable results. Using chemical peel on the skin’s surface will cause dead skin to slough off, leaving the regenerated skin smoother, brighter and more youthful! We use a range of advanced, revolutionary proliferative facial peels, which are non-irritating, pain-free and cause no down time from skin shedding or redness. These unique treatments cause deep exfoliation and remove the outermost layer of dead skin. The treatments are also a significant stimulation for the fibroblasts deep within the skin to produce new collagen and elastin. We are a CQC (Care Quality Commission) registered medical centre that is regularly inspected and assessed by government. 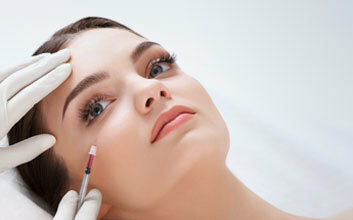 This is the best indicator available that the clinic is trustworthy.